Few people in this world know pizza like Scott does. He eats, sleeps, and breaths pizza. He loves it more than anyone weâ€™ve ever met and after you try one of his pizza tours, youâ€™ll see what we mean. 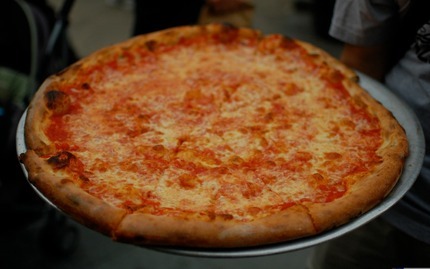 This tour takes you around Manhattan by bus, stopping at four top-notch and legen-wait-for-it....-dary pizzerias. The whole thing lasts about four and a half hours, but we really wish it had lasted longer! The school bus was a nice touch and made the tour feel like a field-trip, though it was far better than any field trip any of us went on as kids. Scott is very enthusiastic and made the tour a fun and unique New York experience. His passion for pizza and love of life is infectious. Besides providing us with fresh, authentic pizza, this tour aims to give you a full education on pizza. Scott has pizza down to a science and readily provided us with all his cheesy details. 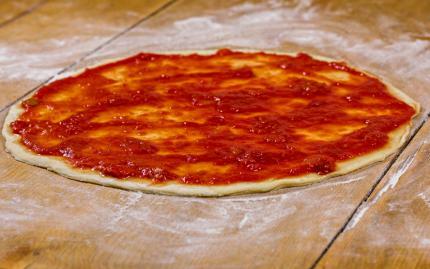 Scott teaches you about the ovens, the ingredients, and the people behind each slice you eat. We felt this was a clear distinction that went far beyond the standard of any old food tour. What also struck us was the care Scott put into picking which pizzerias we went to on this tour. It wasn't just good-quality pizza, it was the owners and the stories behind each establishment that took this tour above and beyond our expectations. 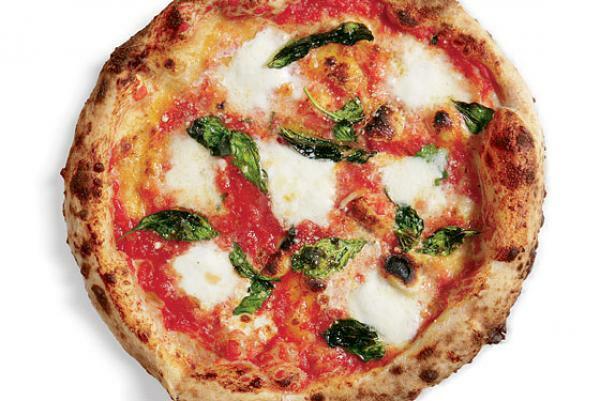 If you think youâ€™ve tried good New York pizza, think again. Each place also had a completely different style of pizza so it was cool to get to try such a vast variety of our favorite cheesy treat. This tour really is a must for locals and tourists alike. This tour was also far beyond our expectations--we recommend it to both self-proclaimed pizza-mavens and those who just enjoy a casual slice every once in a while. Honestly, people have to really love pizza to make tours of this quality, we're impressed. This tour is not just dedicated to bringing you to their favorite pizzerias, it also aims to leave you with a deep understanding of Brooklynâ€™s neighborhoods and history. The host, Tony, clearly demonstrates his passion for Brooklyn, his hometown, and wants to share his love through his tours. We got to explore and discuss several unique historic neighborhoods such as DUMBO, the Brooklyn Bridge, and Coney Island. Coney Island was our personal favorite--beside its nostalgic draw on us New Yorkers, we got a walking tour down the boardwalk and learned all about the recent restorations. Tony also pointed out famous filming locations of â€œSaturday Night Feverâ€ and â€œThe Goodfellas,â€ which was a real treat since those happen to be some of our favorite flicks. We stopped at two incredibly diverse, delicious pizzerias for about a half an hour each: L&B Spumoni and Grimaldiâ€™s--two of Brooklynâ€™s most famous and authentic pizzerias. 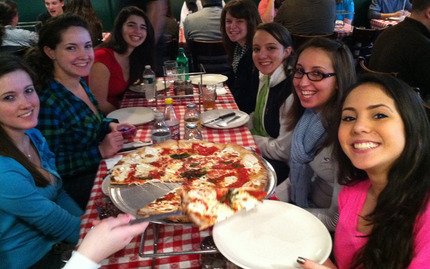 At L&B Spumoni, we tried Sicilian pizza and at Grimaldiâ€™s, the Neapolitan pizza. It's crazy how easy it is to forget that pizza styles truly vary, especially from the typical 99 cent slice we're all accustomed to. We were completely torn between the pleasurable sicilian-style pizza and Grimaldi's slices, which Tony mentioned were Frank Sinatraâ€™s favorites. When you go to L&B Spumoni, we suggest you try their famed Spumoni, Pistachio. As a special added bonus of the tour, we didnâ€™t have to wait in line for pizza ever, which was pretty convenient given how crowded, popular, and small the pizzerias we visited are--it was pretty satisfying ignoring the angry glares from the shmucks waiting in line. Unlike Scottâ€™s Pizza Bus Tour that used a school bus, this tour carted us around in a comfortable, clean and very new luxury coach bus which was a nice touch. The bus picked us up and dropped us back off in Union Square which was convenient and everything was timely and well-organized. Just to add another cherry on top, Tony was well-organized, dropping us off in Union Square in a timely manner. We say bravo!